Here we are: the promised follow up of last week’s top 5! Today we are taking you on a tour of the best 5 beaches in Eastern Sicily, so don’t forget to take notes! 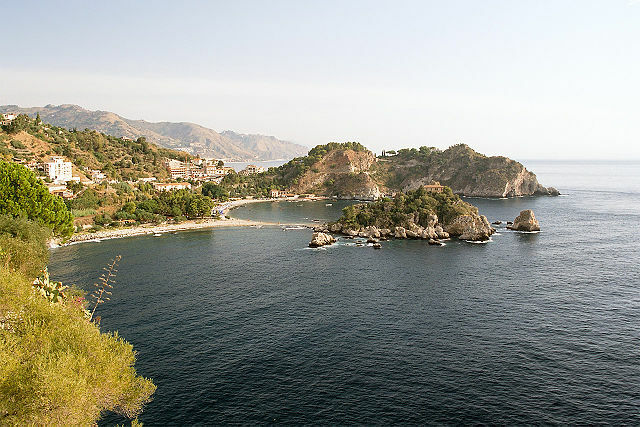 Once again there are so many wonderful beaches and bays in Sicily, we could hardly name all of them, so take in account that you could be so lucky to find some hidden jewels on your way as well! We suggest you to ask the locals, too: they will be surely willing to show you the way to their favourite beach destinations. Here we go with our Top 5 of must-see beaches in Eastern Sicily! Let’s start with one of the top beaches in the area of Ragusa: the long wonderful beach of Sampieri stretches along for 2 kms, from the lovely town of Sampieri to one of the most fascinating pieces of industrial archeology in Italy, the old Fornace Penna. Thanks to this peculiar feature this spot is probably one of the most charming of the whole island. The beach here offers claysh sand and clear blue water with lots of shallows. Located in the quiet and unspoilt Vendicari Reserve, this golden sandy beach is not so easy to reach due to the long walk, but its crystal sea and the chance to get a sight of wildlife and wild greenery on your way there are worth the effort: once you’ll reach your destination, your feet won’t feel so sore after all. Swimming in its water is a true delight! If you want to spend a whole day there, be sure to be prepared with water and food! Inside the reserve you will also be able to find other walking paths that lead to many more spots and little bays. Capo Passero is the precise spot where Ionian and Mediterranean Sea meet. Here you’ll find a small sandy beach, right in front of the Isola delle Correnti (Isle of Currents). A small boat can take you there, but if you’re feeling adventurous you can try to walk across the sea, thanks to the shallow sea bottom, to reach it. There is a fortress on the small island of Capo Passero, a heritage from the times when Sicily was ruled by Spain. Capo Passero is a sanctuary for wildlife, as it is a migration path for the birds coming from Africa. You will be immersed in a surreal peace, surrounded by a picture postcard panorama and crystal clear sea. This is one of the hidden treasures of Eastern Sicily, a place not very popular amongst tourists, that offers unique spots. The variety of the coast will allow you to choose what best fits your taste: rocks, beaches, little bays… The peninsula of Magdalena gives you the chance of an enthralling dive into a marine life swarming with fish, starfishes, seahorses and other species: a true heaven for those who love snorkeling. The water is clear, its colour is iridescent and simply breath-taking. Be sure to follow the rules set for the reserve area and ask a permit for the activities you wish to do. You will also find restaurants and facilities around here, that offer great views on the nature reserve area. At last, the so-called “Pearl of the Mediterranean”, thanks its immeasurable beauty, this little island is located in the area of Taormina, in the Ionian Sea. Due to the little distance from the coast, it is sometimes possible to cross over on foot when the tide is low, but when it’s not, you can always take a small cable car to reach it. The whole area is a maritime nature reserve, while on the land you’ll have the chance to choose between free or equipped beaches. A truly striking place, with clear sea and a smooth pebbles beach. If you’re planning to stay in one of our villas on the beach, you will have easy access to some of these natural paradises. You can take a look at our Sicily Travel Guide to find even more suggestions.